Hi! i'm sylvie, sylly misfit, chitchatty girl, submissive to my Sir, mom to 2 wonderful teenagers & the happiest i've ever been..LOVE to psp & create, getting back into it after some time off, and ready to rock! Looking forward to getting this blog going again, finally! It's been awhile, i've been a busy girl, but missing my hobby bigtime.. Think i needed the rest - had a bit of burn out.. So look forward to some more new things coming soon! 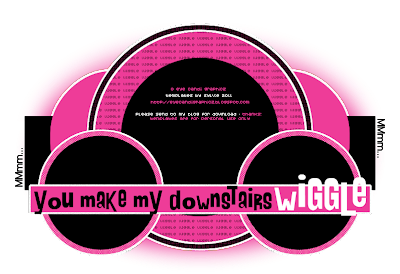 'You make my downstairs wiggle' .. Enjoy! aqua and i went with a rebel theme this time, and each started a template and the other finished it, here is the template she started and that i finished, yay !! i have a lot of fun doing these template collaborations haha..
thank you aquapiiiie, you rawked them with me! woohoo, finally wrote a new tutorial.. it's been ages! i made a template to go with the tutorial but i will post it here rather than in my supplies. of course you don't have to do my tutorial to use the template, lol. the tag is much bigger but ya know, blogger, sizes, etc lol! aaay, made some templates for the misfits template challenge..
we had to create templates using circles, and this is what i came up with. the white background is so you can see the temps a lil better since my blog is in pink! and of course it says sylly creationz my old blog name cuz i made them just before this blog was made..